Robert Litzinger is an entrepreneur, community volunteer, and marketing expert with a long list of accomplishments in his personal and professional life. Rob Litzinger grew up in Monticello, New York where he enjoyed riding dirt bikes, art, and working. Unlike many children, Robert Litzinger enjoyed work at a very early age. At the age of twelve he began developing his own business plans through landscaping and other types of handyman work. Throughout high school, he worked as many hours as he could, networking and implementing new business strategies along the way. Currently, Robert Litzinger is enrolled full time at Montana State University completing his degree in Organizational Communication. Later on, he also plans to earn his Master’s degree in a business related field. Before entering the business world, Rob Litzinger spent a few years serving in the United States Air Force. From 1991 to 1995, he served as a member of the Electro Mechanical Maintenance Team as well as an ICBM Nuclear System Technician. Completing his time in the U.S. Air Force, Robert Litzinger then went on to begin a professional career in sales and marketing. In 1995, he began his first role in business as a Marketing Director for ProCraft Carstar. A few years later, he became an Assistant Fleet Manager for Ford. 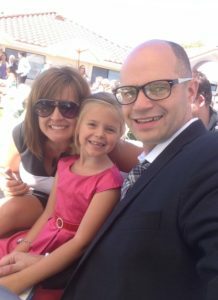 Later on in 2006, Robert Litzinger took on the role of Corporate Chaplain at Hardy Diagnostics where he worked alongside the HR department as a coach for employees on a variety of issues including finances, family, marriage, children, addiction, and more. Robert Litzinger has also dedicated a great deal of his time outside of his professional career to volunteering in his local community, making connections with people and leaving a positive impact on the world around him. Outside of his volunteer work and professional career, Robert Litzinger enjoys sewing and working with leather as well as graphic design. In his spare time, he loves working on new projects such as wallets, blankets, tool belts, notepads and pencil holders, and whatever else comes to mind. Check out Robert Litzinger on Instagram to learn more about his creative ideas, designs, and art work.